It doesn't matter that I am 47... like a little kid I still love to play with the new treasures that Santa brought me. The best part about being off work for two weeks (yay!) 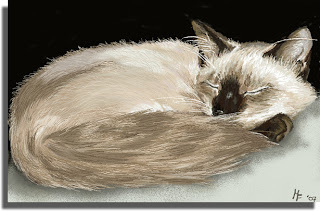 is that I get some time between meals, dishes, laundry, house cleaning, and taking care of the sick and infirm (actually all are on the mend now, thank goodness), to draw and digitally paint. 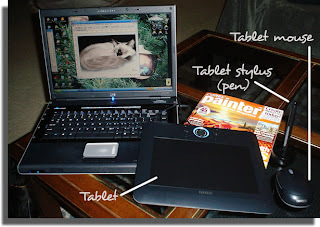 Now that the laundry is done and I have another week off work, you know what I'm going to be doing for the next few days -- continuing to learn the features of the tablet and software and paint, paint, paint. At least I don't have to worry about cleaning up after THIS. 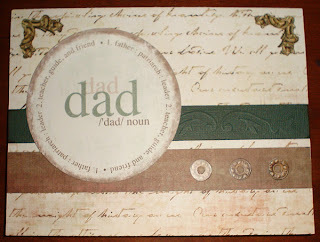 Here is the card I made my Dad this year... now that I have given him his gift, I can post pics! 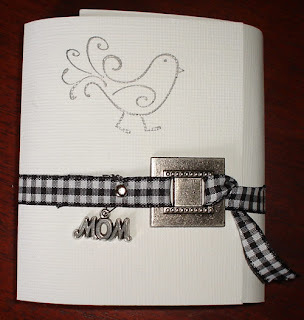 I used Basic Grey two sided paper for the base, added some Bazzil cardstock with embossing, vintage stickers and ribbon. So easy to do! 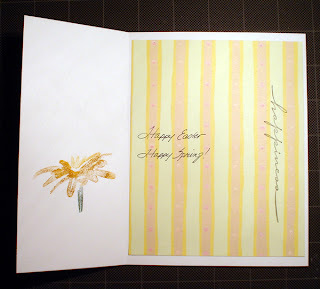 The lines on the inside card made it easy to add our own love and wishes for a very special man... the one who taught me patience and how to draw and paint ... my father. 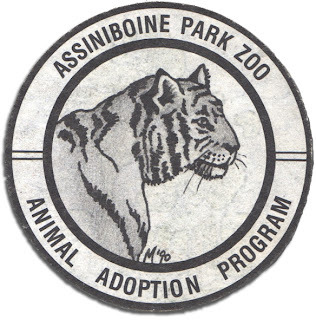 In the eighties and early nineties I was asked to serve on the Board of Directors at our local zoo. Well, I was quite honored and worked there in my spare time for a few years, until I had my daughter. I got behind-the-scenes tours, special up close "meet and greets" and developed a whole new appreciation for the facility. My most prized contribution was the running of the Animal Adoption program. We brought in thousands of dollars to the Zoo, and I had the pleasure of doing promotional artwork for it too. The item above was a decal we handed out. 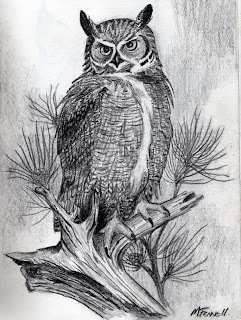 I also did drawings of many of the adopted animals, but so far I can't find any left... Oh well, but it sure was a great feeling to be in charge of such a successful program to help the Zoo and its inhabitants. 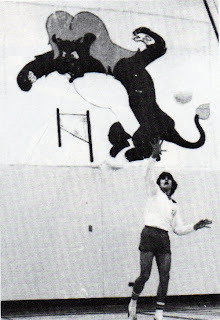 How fun to go back through the old yearbooks and find something you have long forgotten about. I also did a mural for our sports teams. That's it behind the volleyball player. 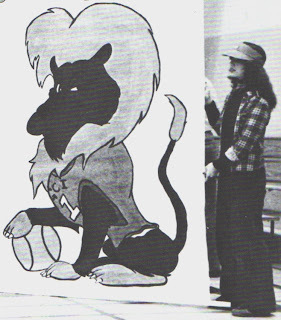 Wow, wierd to see these old projects again... too bad the yearbooks back then were only in black and white. Another page from my old sketchbook... probably nearly 30 years ago. Not the best technically, but I obviously had an affinity for doing wildlife and scenery. 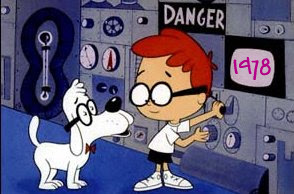 I know, I know... I'm really late posting this, but here is the "card" I made for my mom on Mother's Day. Actually, it's more like a mini-book. 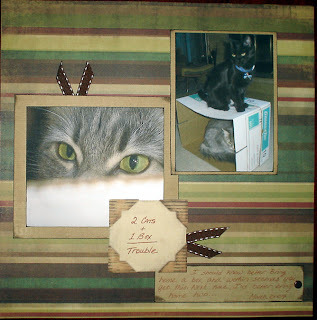 First I created a template from chipboard for my own 3 X 3 envelope. 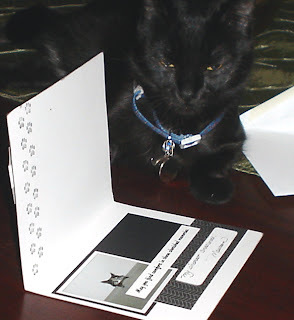 I used this template to trace and cut out matching patterned papers in various black and white designs to make seven identical envelopes. 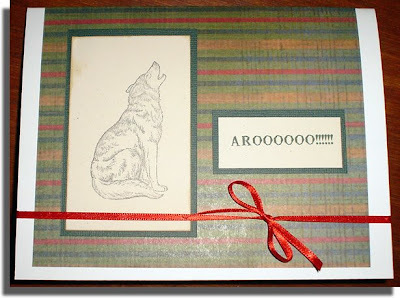 After scoring the folds and glueing them down (except the flaps) I made an accordian-style book by glueing them together and attaching them in a cardstock cover, stamped, wrapped with ribbon and decorated with metal embellishments. Inside more stamping, stickers and a silk flower were added. Inside each envelope I placed a photo of me growing up with my mom. 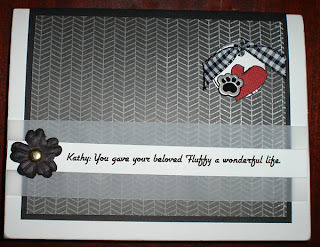 Each photo is mounted on colored cardstock with matching ribbon "pulls" and the words, "Always there, always loved". This was added to her Mother's Day gift and she was so surprised! The mother of my daughter's friend had an extra, brand new 4 Gig iPod with a pink metallic case to sell (dirt cheap, mind you), and asked if I wanted it. 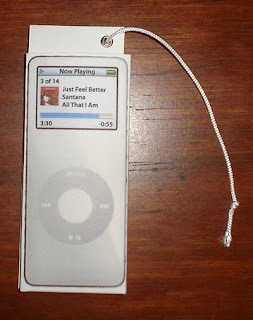 Well, since I had a no-name, basic MP3 player with only 512 MB of memory, I took her up on her offer. But instead of just giving her the money, I wanted to thank her properly too. 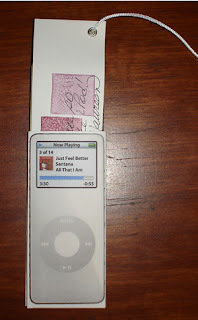 So I made a 3D card in the shape of an iPod (scored and folded lines to make a "box" with the top open). I slid a folded card inside with my sentiments, stamped it, added an eyelet and cord to resemble the white headphone cord. When you pull on the cord, the interior card slides out to reveal the money tucked inside. After watching Tricia make this on Craft TV Weekly last week, I knew I wanted to try it. 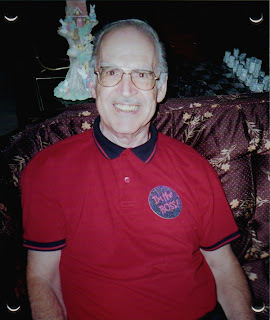 It features photos of him growing up from a small boy to the wonderful grandfather he is today. Stamps include "family treasure" with small jewels. 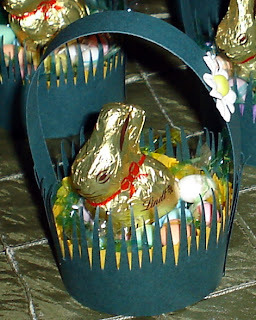 Chipboard, ribbon, brads and rub-ons were also used to decorate it. Last night we went out to dinner with the family, and when he opened it, my sister quipped, "There goes Martha Stewart again...."
Again, I can't remember how long ago I did this. What fun it is to uncover a piece of your own history. 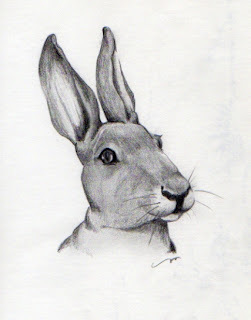 Today I came across some drawings I did years and years ago; glad I kept my old sketchbook. I will have to force myself to use it more often in the future. 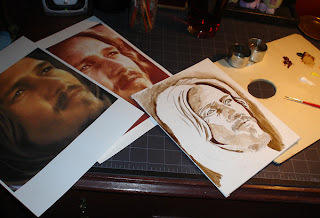 It's been a few weeks since daughter and I have been to cropping night, so yesterday we returned to our favorite scrapbooking store and got some projects done. I was able to get three simple cards finished; 2 birthday cards (the same), and an anniversary card. 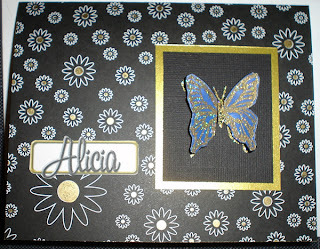 I love the new papers they had, as well as some nice "Springy" metal embellishements. 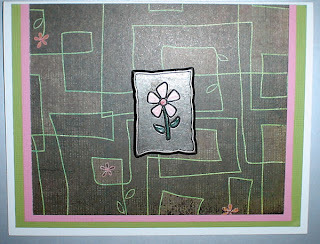 I hand-painted the flower on the anniversary card metal tag to match the paper. 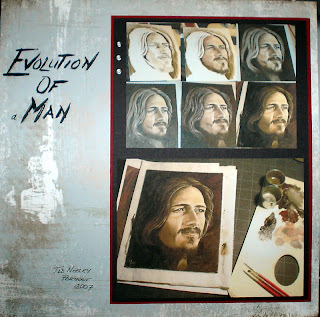 I also finsihed a very simple page about the evolution of my painting an oil portrait of Ted Neeley. Called the "Evolution of (a) Man" I hand-painted the title and used some great Basic Grey paper that was just perfect. 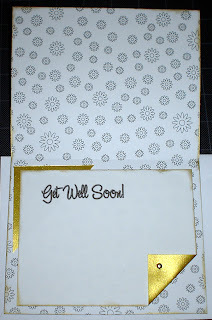 Bazzil cardstock and silver eyelets finished off this simple page. 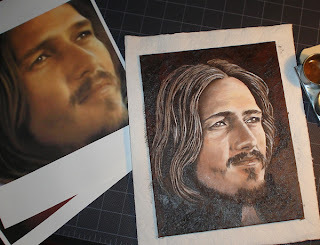 I've put down my brushes; my oil painting of Ted Neeley is done after 5 days (I actually took a few days off as I was not in an artistic mood). 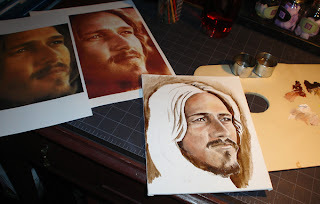 I really struggled about how to do his hair; then it hit me today to shadow it... I think it worked. Lots of work left to do, but I don't want to rush it. 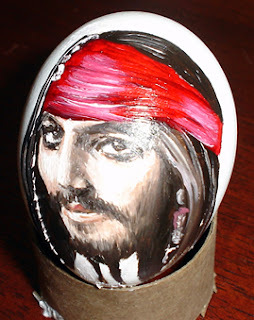 Although daughter kept the family tradition of doing her eggs in Ukrainian style (hot wax and dyes), I decided to do two eggs of my favorite men. Unfortunately, they look so distorted when photographed; because of the curve of the egg, they look much better in real life. 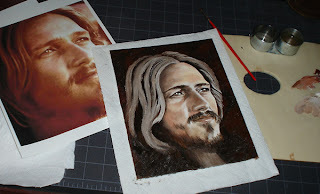 Done in oils, they actually dried quite quickly! Another holiday, another opportunity to make cards! This year, I hand-drew my own bunny design on gray cardstock and colored them in with pencil crayons and outlined them with black Zig pens. 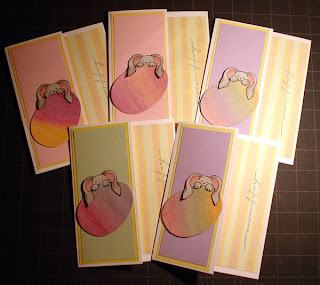 Next I took some patterned paper and glued it to thick board cut in egg shapes. I made the paper a bit larger than the egg shape, glued it on and then used a sanding file to sand off the edges...it worked great! I added Bazzil cardstock to the front of each card, glued on the bunny and egg, added patterned paper to the inside and stamped a flower and "Happiness" on each. Easily made using real eggs, blown and washed out. Color the egg as normal, then break open one end. Make sure you seal the bottom of the egg if there is a hole. 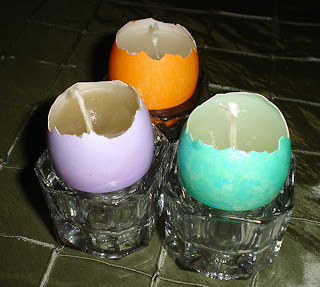 Melt parafin wax and pour into egg, using a toothpick to hold a wick in place until it sets. 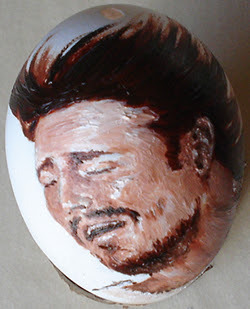 I also used white glue on the bottom of the egg to seal it well. Display in egg cups! 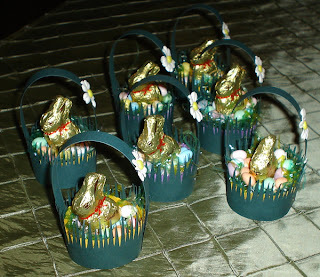 One of these cute bunnies will be at each placesetting at our table. Made using paper muffin cups, I cut green Bazzil cardstock just a bit taller than the cup (in this case, 2 inches high) and long enough to wrap around the cup with a 1/2 inch overlap. Using scissors, cut out the grass shapes, varying lengths as you go. I also used the same paper to cut the handles of the baskets, about a 1/4 inch thick. Before assembling, I attached white Prima flowers with yellow brads to the handles for daisies. I used my Cropadile to punch holes and set rivets to attach the handles to the base of the basket. I then painted the inside of the basket with white glue and slid the muffin cup inside to attach it. Once dry, I added Easter grass, little Lifesaver jelly bean Easter eggs, and sat a Lindt chocolate bunny on top. I can't take credit for these ideas; they both were found at Martha Stewart's website...I just improvised with what I had on hand. Happy Easter! Since daughter was on Spring Break, I took two days off work. 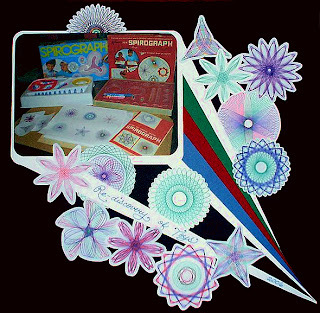 One of those afternoons (and evening) we spent at our local scrapbooking store cropping. In over 5 hours, I got a lot done! 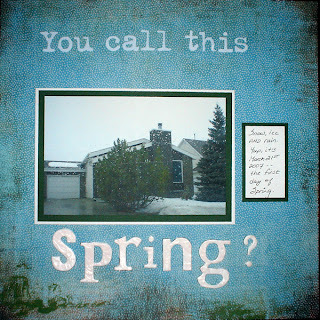 Believe it or not, this was our First Day of Spring -- Snow, ice AND rain! Such a sad day today. A good friend at work had to put her cat down last night; poor Fluffy was 15 years old with a large tumor... what a terrible thing to have to go through. 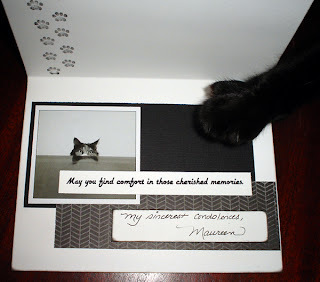 Using a card in a PaperCrafts magazine as inspiration, I made her a condolences card with Basic Grey paper, Bazzil cardstock, a stationary tag, kitty pawprint brad, Prima flowers, ribbon, vellum, pawprints stamps and a black and white photo from a cat calendar. Hubby said it was so nice, it would make her cry. He was right, she cried, I cried, and then she hugged me and we both cried again. My Dakotah adding her own paw of sadness. 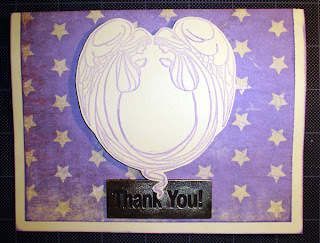 I was on fire tonight... two layouts AND a card finished. And another 2 page layout nearly done. All in less than four hours at our local scrapbooking store. It was great to get some pages finally completed; it's been awhile! A couple of nice closeups of Casey our terrier cross. She'll be 10 this year! 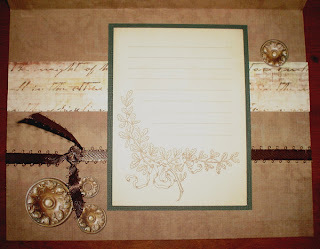 Basic Grey paper, Heidi Swapp letters. 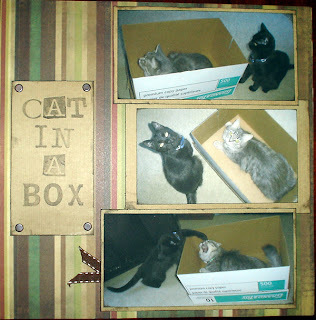 One photo is raised with foam squares, both are mounted on black Bazzil cardstock. Dakotah playing with my pot pourri table decor...she really does think I placed these balls there just for her enjoyment. 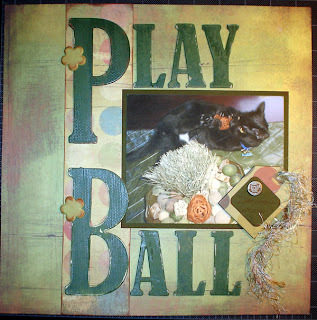 Basic Grey paper, chipboard letters painted and sanded, brads distressed with ink, chipboard tag with kitty brad and fibers. 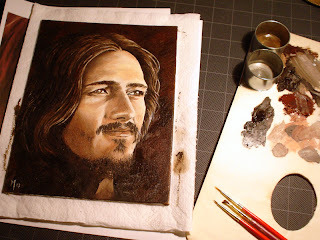 A thank you card to my online friend for showing Ted Neeley my painting of him. 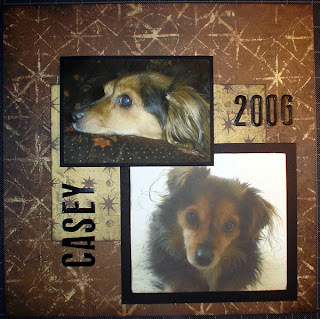 "Superstar" logo stamped on Bazzil cardstock and raised with foam squares. 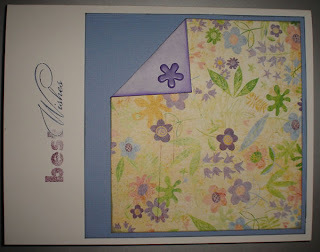 Karen Foster patterned paper over Bazzil cardstock. Heavy brass "Thank You" plate adhered at bottom. 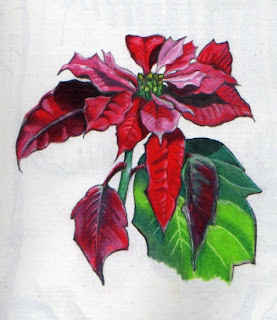 Inside of card. 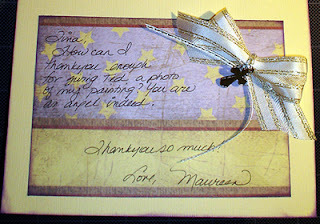 Ribbon with gold cross, more Karen Foster paper. She likes purple, and I thought the "stars" on purple paper was most appropriate for "Superstar!" Hope she likes it!